It was a brisk fall evening in North East Los Angeles and hundreds gathered to celebrate artist Erin Hanson’s new 5000-square foot gallery space and studio. 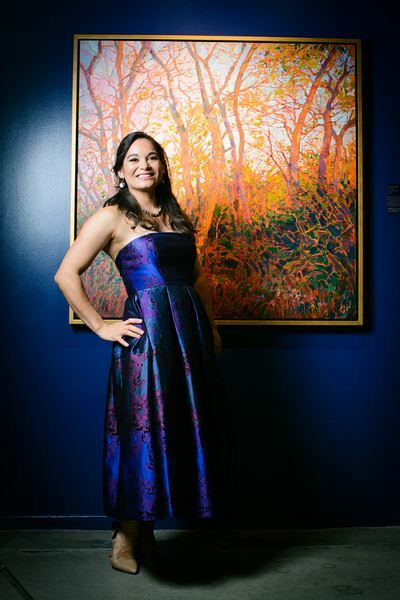 A moment Hanson has been planning for nearly two years, the night marked an important milestone in her ongoing objective to reach out to Los Angeles and inspire as many people as possible with her impressionist paintings. 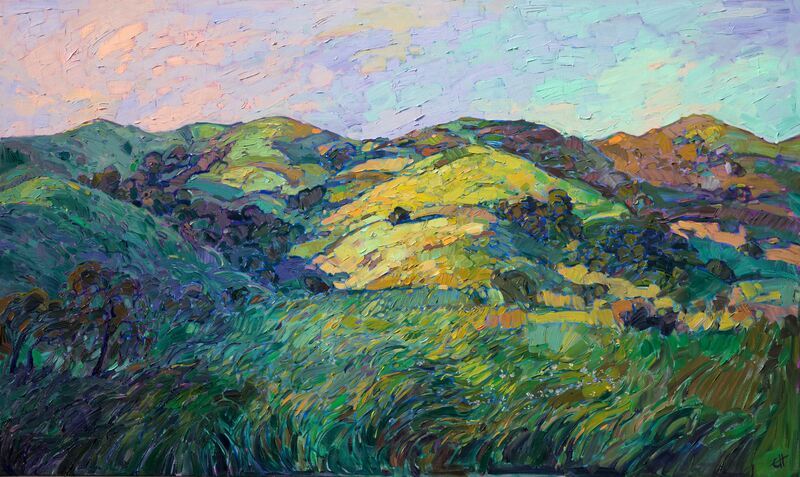 After a lifetime of painting in oils, Erin Hanson has developed a unique style of expressing her view of the world with thick individual brush strokes and intense color. 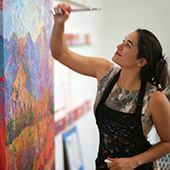 Her paintings bring traditional impressionist painting into the 21st century with a modern expressionist flair, while her adventures in the outdoors give a personal taste to her paintings. 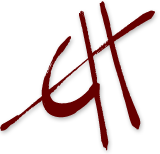 Hanson showcases her work at top art festivals, country clubs, museums and elite wine events across the country and first opened her solo gallery in Glendale, California three years ago. The old 2000-square foot space quickly became too small for her needs and her new larger location in Frogtown was secured, fully renovated and is now open for business. 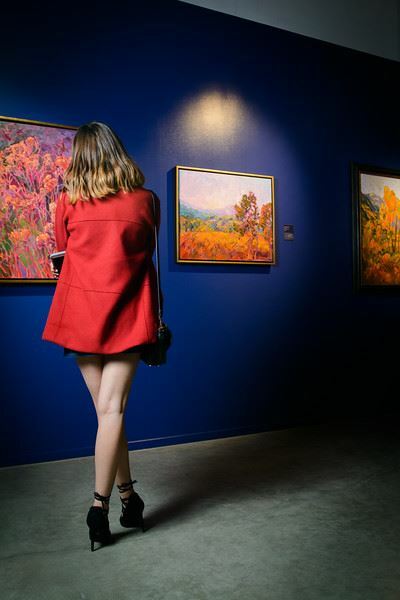 The gallery was abuzz with excited collectors and fans as they took in Hanson’s newest impressionistic landscape pieces and got a chance to share the evening with the delighted artist. 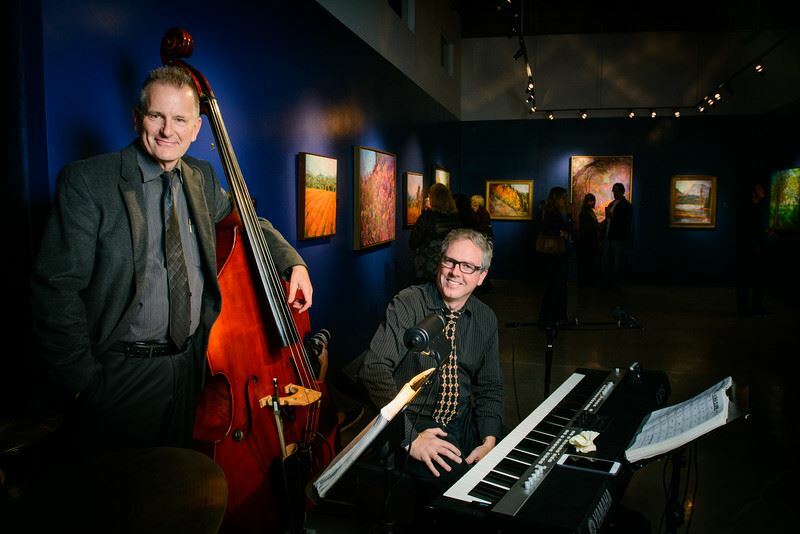 The Gallery Opening also featured live music by The Happiness Band, a popular Los Angeles based Jazz band. All are invited to visit the gallery during open hours or book a tour to experience this visionary master’s works first hand. Hours: Monday – Thursday, 1pm – 6pm. 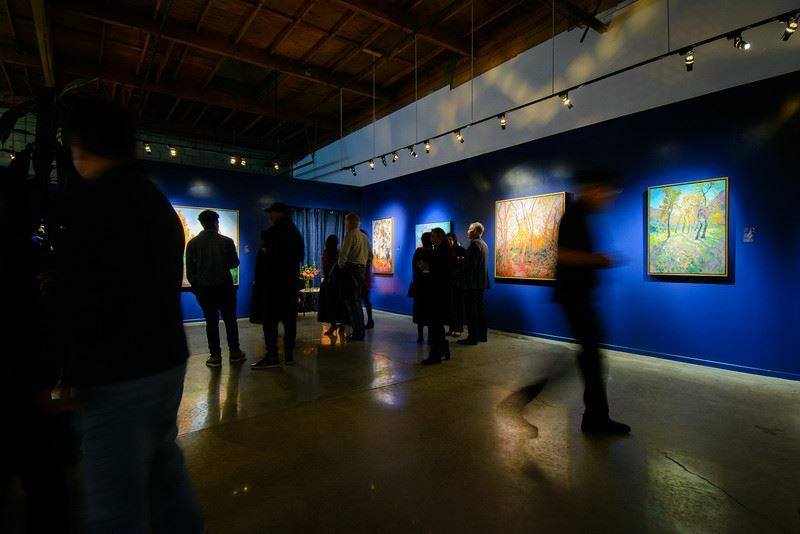 The Erin Hanson Gallery is located in LA’s growing arts district, Frogtown, just off Fletcher and Riverside, only a few blocks from both the 2 and 5 freeways.